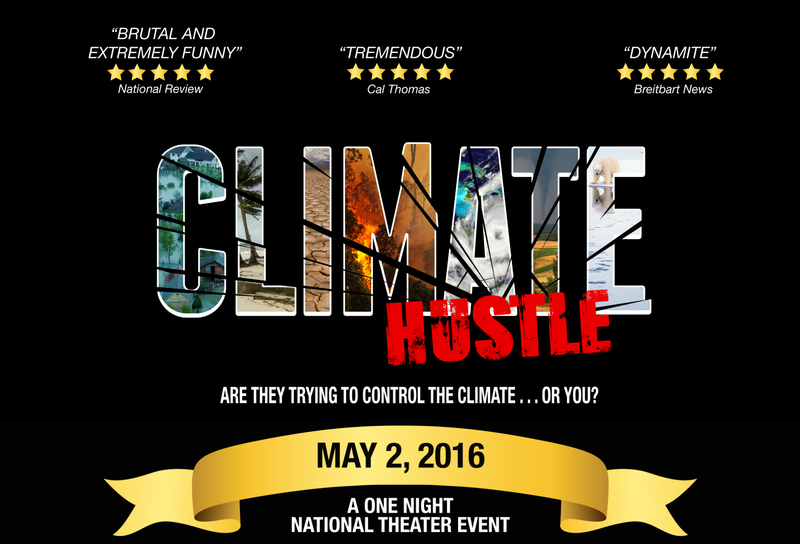 – Leading climate activists are warning moviegoers to shun the May 2nd nationwide one-day theater screening of “Climate Hustle,” a new film debunking climate alarmism and its big government solutions. 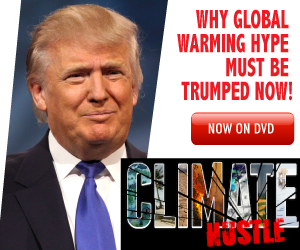 Bill Nye (not a real “science guy,” FYI), who entertains the idea of throwing climate skeptics in the slammer, warned the film’s producer, Climate Depot publisher Marc Morano, that “Climate Hustle’s” content endangers not just the nation, but also the world: “I think it will expose your point of view as very much in the minority and very much not in our national interest and the world’s interest.” U.N. Climate Scientist Michael Oppenheimer has, likewise, condemned the film – without even viewing it – for daring to dispute climate alarmism. “Marc is a propagandist,” the U.N. Intergovernmental Panel on Climate Change scientist cautions viewers. Watch: Morano in Tux on TV for DC Film Premiere – Teases Mystery Animal that Was Mascot for both Cooling & Warming fears – Bill Nye’s not the only one who can wear a bow tie! Which animal was used as a mascot for both the ‘global cooling’ scare in the 1970s and the ‘global warming’ scare of today! ?